Property damage can happen anywhere. Fires, floods, storm damage, or other types of damage can impact homes, as well as businesses and commercial property. SERVPRO of Douglas & Otter Tail Counties regularly responds to water and fire damage in large, commercial buildings and businesses of all sizes. If a commercial building or business experiences any form of damage to their operation, it is imperative to get the situation under control and up and running as quickly as possible. Each day not open or operating means that people can’t work, with business interruption having a profound impact on the local economy and beyond. These are the situations when SERVPRO can help and restore damage quickly. SERVPRO of Douglas & Otter Tail Counties responds to storm, fire, flood or other types of property damage and helps get your commercial building and/or business back up and running as quickly as possible. For every one of the issues that could affect one of the schools in the Douglas & Otter Tail Counties area, one of the most devastating of these is a water emergency. With minimal warning, high volumes of water could impact a widespread area of the institution, forcing your school board to put a stoppage to regularly scheduled classes until the problem can get resolved. Often, the emergencies requiring water removal that can threaten Douglas & Otter Tail Counties are present from natural disasters outside of the building that makes their way in, yet this could also present itself through concerns such as plumbing ruptures, fire suppression malfunctions and boiler system degradation. While there might not be many things that you can do to prevent these issues from happening (as they often occur with no warning or symptoms), you are not going to have to face the effects from the water on your own. Once our SERVPRO team has arrived at the school, we can assess how widespread the damage is and the appropriate course of actions it takes to restore the facility entirely. While a lot of the construction materials used in modern schools are block and concrete, there are still multiple areas like ceilings, carpeted floors for offices, and areas like auditoriums that can get affected the worst by these traumatic events. The longer that pooled water can sit in these areas, the more damage that they can do to the layers of materials beneath the surface you can see. Extraction of the water is only the beginning of the process, and the real heart of the restoration process rests in thoroughly drying all of the affected areas. 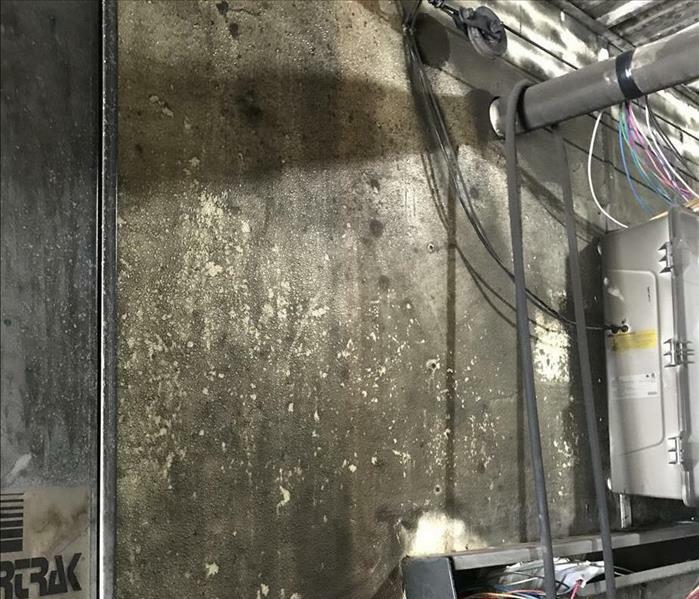 This process provides the right opportunity to inspect for severely compromised structural components that could require replacement or reconstruction from a commercial contractor. When you face the fear and confusion of a water loss in your home, selecting the best restoration partner is the key to a successful outcome. Many companies vie for your business, but you want to engage the professionals who bring a unique mix of training, experience, and cutting-edge equipment to your disaster. Let us explore why our services and products are the correct fit. The amount of water damage done in Alexandria, homes from appliance failures would shock most homeowners. A busted water heater or a washing machine with a broken hose can spew dozens to hundreds of gallons of water across your floors depending on when you discover the breach and shut off the water source. What are the reasons to choose our crews when you face this devastation? 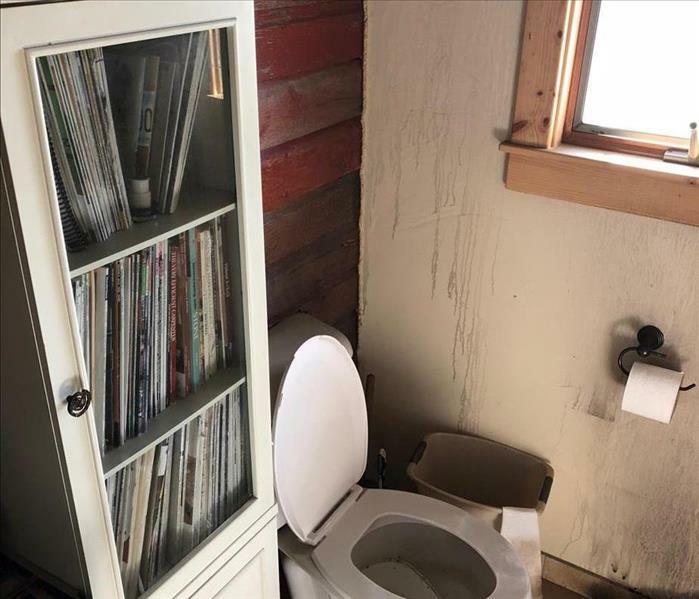 This combination of technical skills and proper equipment is why SERVPRO of Douglas and Otter Tail Counties is the company you can rely on to restore water damage in your home. Call (320) 219-6505 to schedule an assessment and start the restoration process. Smoke odors are persistent. Methods such as air filtration, ventilation, or wiping residue off of surfaces are not likely to be sufficient. Particles of smoke drift into air ducts, nooks and crannies, and porous materials such as carpeting, drapery, and furniture. The only way to completely eliminate smoke odor is to permanently neutralize the presence of these particles. Here are five smoke cleaning methods suitable for smoke damage restoration. Ozone Machines Ozone machines release molecules that follow the same path as smoke particles and oxidize these sources of odor. This method is popular because it works quickly, but all occupants, pets, and plants must be temporarily evacuated. Hydroxyl Generators Hydroxyl generators destroy smoke particles with radicals generated by ultraviolet light. This method does not require evacuation, but may take anywhere from three to five times as long as an ozone machine. HVAC Air Scrubbers These scrubbers connect to the central air system to circulate air and filter out smoke particles. As these systems do not neutralize odor molecules, a faint smoke odor may linger. Some odor mitigation professionals may combine an air scrubber with another smoke cleaning method. Thermal Foggers Thermal foggers fill a home with fog for approximately 30 minutes before the residence is ventilated and allowed to dry. This highly effective odor elimination method also calls for evacuation and workers must wear respirators. Vapor Modification Vapor modification neutralizes odors by dispersing an aromatic compound in a mineral oil base with the assistance of a blower or fan. There is no need to evacuate during this treatment. Out of these five methods, only two – ozone machines and thermal foggers – require evacuation. The other three methods can be pursued while you remain at home. A smoke cleaning service can work with you to determine which treatment options are right for a residence in Alexandria, MN. 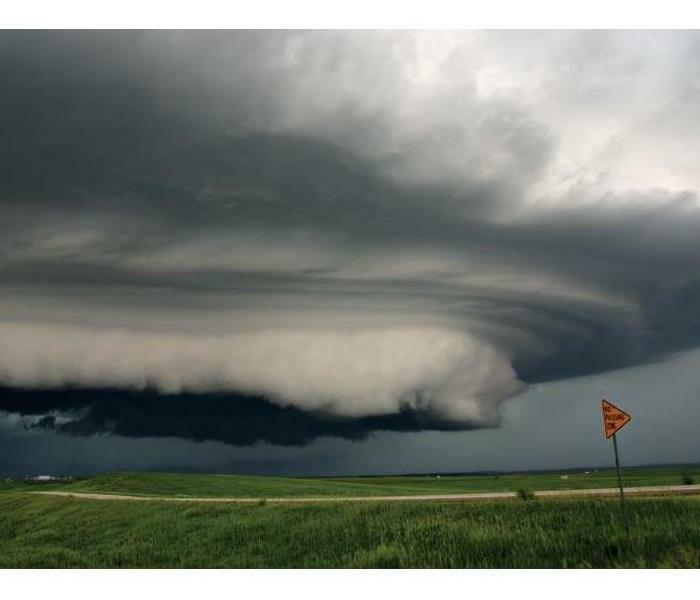 When strong storms sweep into Douglas and Otter Tail Counties in MN they can wreak havoc on your commercial property. This can be distressing, as high winds, heavy rain and flood water have the ability to cause thousands of dollars in damage to your building and its inventory. However, if you know a storm is inevitable, there are a few strategies you can use to prepare and possibly minimize the damage. 1. Back Up All Your Data Your company’s data can be destroyed in a flash if it is stored in the basement of a flooded building. Paper archives can be especially vulnerable, so you may want to take time to move boxes or file cabinets to a safe location where the information can be transformed into electronic data and stored in the cloud. Avoid archiving information in company computers, especially those on the ground floor and vulnerable to flood water. In fact, you might be better off moving any company computers to a higher floor, if possible. 2. Remove Items From the Floor Inventory, machinery and valuable company tools that sit at ground level can be susceptible to water damage. You may want to remove these items from the building or put them up on high, stable shelving. Heavier machinery can be lifted up onto stacked wooden pallets, which may keep them dry and unharmed during flooding. 3. Have a Restoration Plan in Place It can be difficult to gauge how much damage your business may suffer before a flood, so it is wise to have a restoration plan in place before a disaster happens. Contact your local flood damage and mitigation service to discuss what the company’s technicians can do for you in the event that your building takes on damage. Discuss possible services like odor cleanup and mold mitigation. Flood water and high winds in Douglas and Otter Tail Counties in MN, can damage your commercial building and put you in serious debt. However, careful planning and having a mitigation and restoration strategy in place may help you come through a flood with the least possible amount of damage. 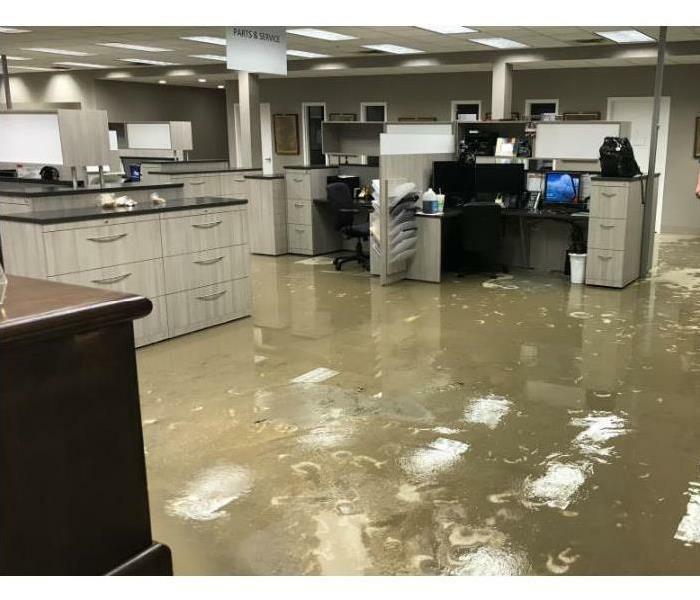 Call your local Water Mitigation professionals when a storm strikes your office. Virtually invisible, discolors paints and varnishes, extreme pungent odor. Since each smoke and fire damage situation is a little different, each one requires a unique solution tailored for the specific conditions. We have the equipment, expertise, and experience to restore your fire and smoke damage. We will also treat your family with empathy and respect and your property with care. A toilet overflows, a broken pipe, heavy rain storm, a hole in your roof, whatever the cause may be, if you have water damage in your home, SERVPRO professionals are only a phone call away. Serving the Douglas & Otter Tail Counties area, SERVPRO is an area leader in helping with water damage problems in both residential and commercial properties. Staffed with a team of trained technicians, we also have the vehicles and equipment to provide water extraction, structural drying, and repairs to your home or business in no time. When you find yourself with a water problem, we can not only provide the emergency assistance to remove the water and provide drying and repairs, but we also can contact a local plumber to resolve the issue, and will work with your insurance company throughout the process, to relieve some of the headache for you. Let us take care of your water issue, so you can continue to live comfortably in your home like it never even happened. Need help with a water problem? Or know someone that needs help? In many cases, the flood damage to Douglas and Otter Tail County homes includes contaminated water. Silt, debris, and even sewer water from overwhelmed city systems or septic tanks require special protective and cleaning actions. 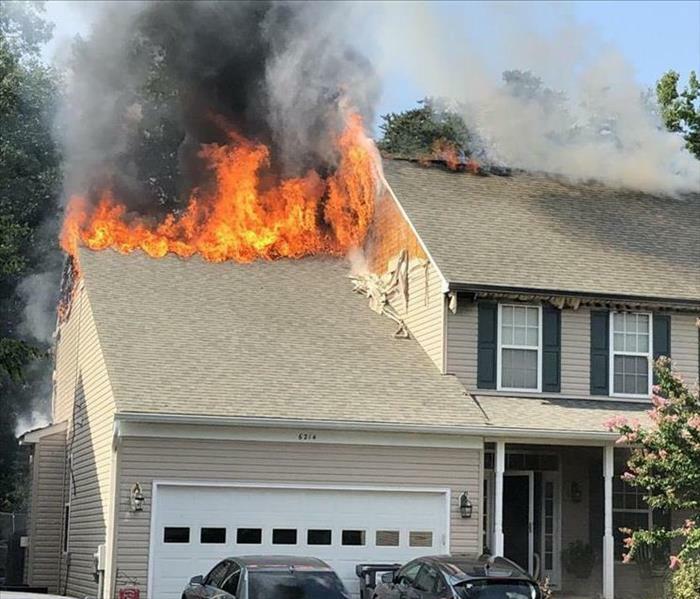 An experienced company like SERVPRO has the training to deal with these situations and how to safely put you back in your home. Once discovered, our IICRC certified technicians deal with a contamination threat by spraying a disinfectant as they enter the structure. They spray every surface with an EPA approved chemical. Spraying not only reduces the threat but also reduces the chance of spreading the contamination as our technicians move into uncontaminated areas. Next, we remove excess debris. As the process begins, our technicians use shovels to remove heavy items and rakes to remove silt from carpets. This material may be hazardous if it contains asbestos, lead or another regulated material. Now, technicians begin water removal. They accomplish this task using a combination of water vacuums and extractors specially designed to remove the flooding without harming carpets or other types of flooring. With that finished, our restoration team continues with the evaluation. We determine if your structure and personal property can be decontaminated and restored. If this is not possible, then the items must be removed and replaced. We usually remove building material (e.g. drywall, wallpaper) since it is rapidly destroyed by standing water alone. Structural beams and other components are more resistant to standing water; technician’s pressure wash them and then spray with a disinfectant to avoid the cost of replacement. Other types of property are restorable unless exposed to black water (sewer water). If this has happened, then the decision to attempt disinfecting the item depends on the porous nature of the items. A solid countertop is recoverable while carpets and furniture fabrics are usually written off as a loss. Safety first. As technicians remove property, new surfaces are exposed. Every new surface is disinfected and inspected again to determine if it can be restored or requires removal. Technicians repeat these actions until all surfaces, hardwood or tile flooring and soft fabrics, in the home are disinfected or disposed of according to state and federal regulations. Now that the cold weather is upon us, furnaces are turned on and we will be spending more time indoors, it is time to review some fire safety to prevent house fires. 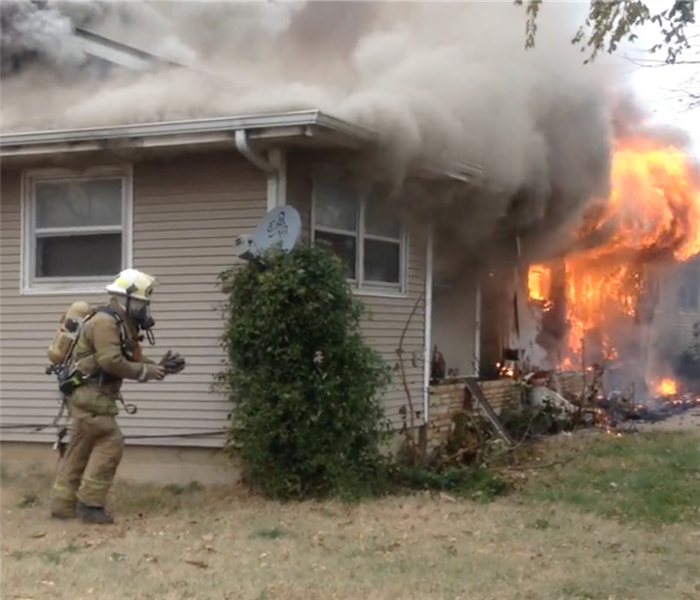 House fires affect more than 374,000 homes each year and smoking is the leading cause of fire related death. House fires are devastating and they cause more than 7 billion dollars in damage in the United States each year. Do NOT smoke in bed or anywhere in your home for that matter. People lay down while smoking a cigarette and fall asleep causing more fire related deaths than any other cause worldwide. Unplug appliances that are not in use. Certain appliances have auto on features that keep them on all the time so you can turn them on right away. These appliances can catch fire when left plugged in. Keep clothing and debris off power strips. Make sure your children do not leave clothes on power strips as the clothing can catch on fire. Unplug hair dryers, curling irons and flatirons for straightening your hair. As soon as you are finished using them, unplug them right away. Do not walk away to do something else before unplugging them, because you could easily forget. Only place your curling Iron and flatiron on a flat hard surface. Do not leave irons or flatirons on soft surfaces that may catch on fire. Keep portable heaters away from all cloth and clothing. Make sure they are on a flat stable surface and cannot tip or be knocked over by children. Heating elements are the second leading cause of house fires. Do not walk away from food while cooking even for a brief period of time. Make sure that you turn pot handles so that children cannot grab those dumping scalding contents which can burn them or start a fire. Use baking soda to extinguish grease fires as water will make them spread. Keep batteries in your smoke detectors and test them frequently. Make a fire escape plan with your family, especially if children are on a different floor. Leave the home immediately and call 9-1-1 if your home catches on fire!!! Knowing these tips will help keep you and your family safe. If you do experience a house fire call SERVPRO of Douglas & Otter Tail Counties at 320-219-6505. We are fire restoration specialists. Water damage is a common occurrence in homes and buildings. You may experience an event with water from a heavy rain, flooding in the area, a broken sprinkler head, or even from an over-flowing toilet. Whatever the cause of the water problem, SERVPRO can help. Water damage is not to be taken lightly, as water can cause damage to flooring, wood trim, drywall and other parts of a structure. When water is standing in a basement, rooms, or even in a bathroom, it seeps into crevices and travels under flooring, trim and baseboards. If not properly dried, that water can create irreparable damage, even cause mold. Of course, the amount of water needs to be something beyond a common spill, although even a small, steady leak that is not stopped and dried can create big problems. If there is a question of whether water can be damaging your home or building, SERVPRO professionals are trained at identifying and surveying the damage any water may have created. Most importantly, we can remove the water and clean, dry, and professionally repair water damage.